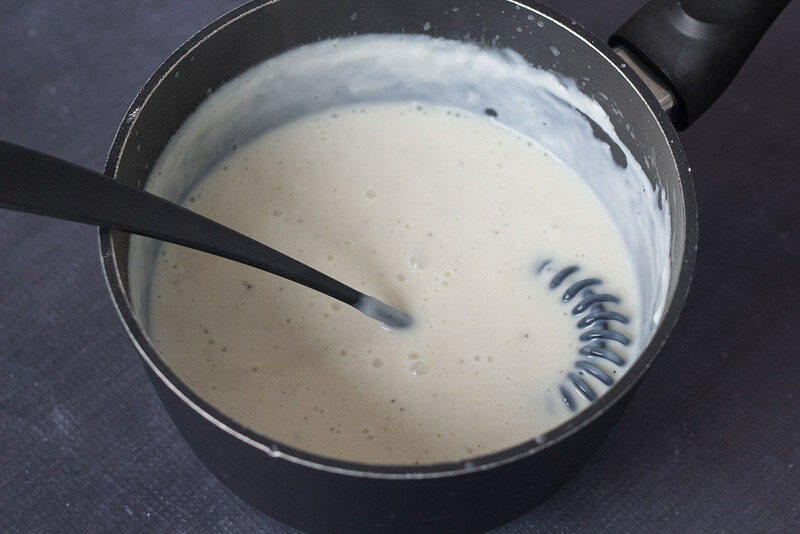 This recipe for Bechamel Sauce, I have shared here on this page, is the one I always use when I am making sauce for a homemade lasagne. 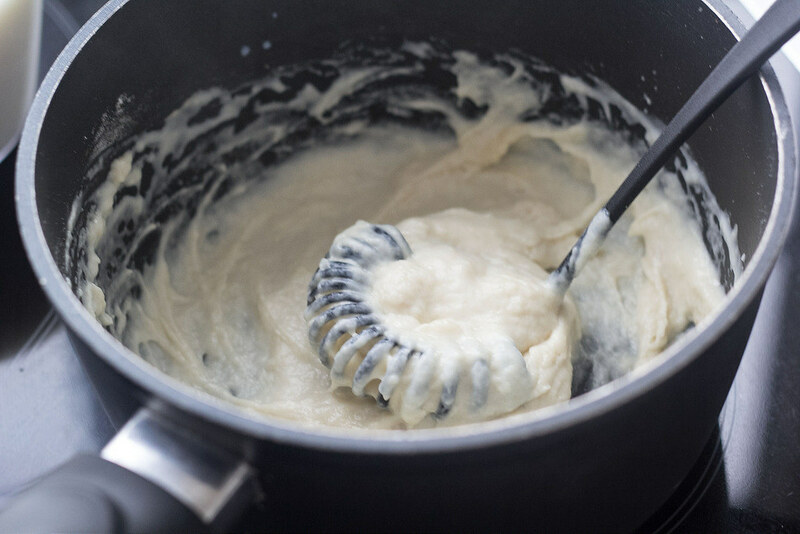 A bechamel sauce is a simple and basis white sauce which is based on the few and common ingredients; butter, all-purpose flour and milk. 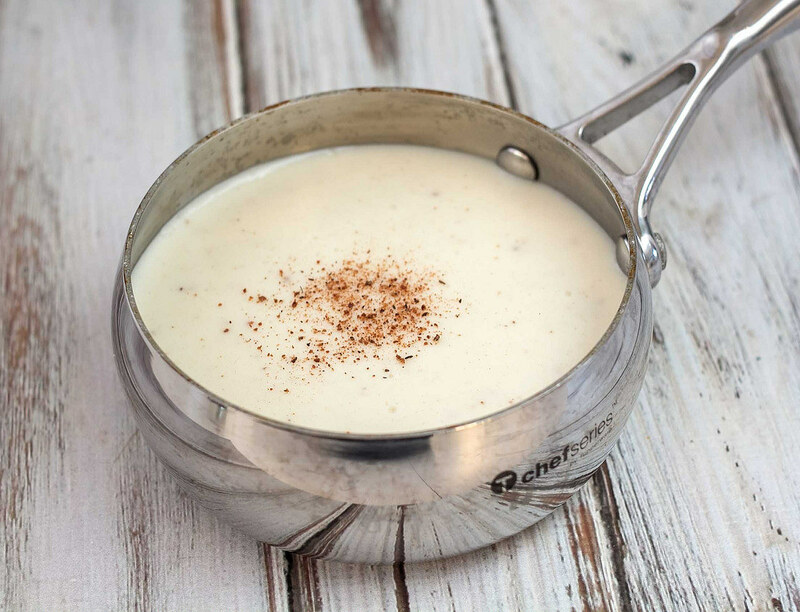 A Bechamel Sauce is considered originally from the French cuisine and is a semi-thick white sauce. As said above, I normally always use this sauce when making Lasagne – I just add a little nutmeg to give it some extra flavor. However, this sauce is also very good as a base for other sauces like Mornay sauce, which is made by adding grated cheese to the bechamel sauce. Other delicious sauces, which is made, based on this bechamel sauce is; mustard sauce, Soubise sauce and cheddar cheese sauce. 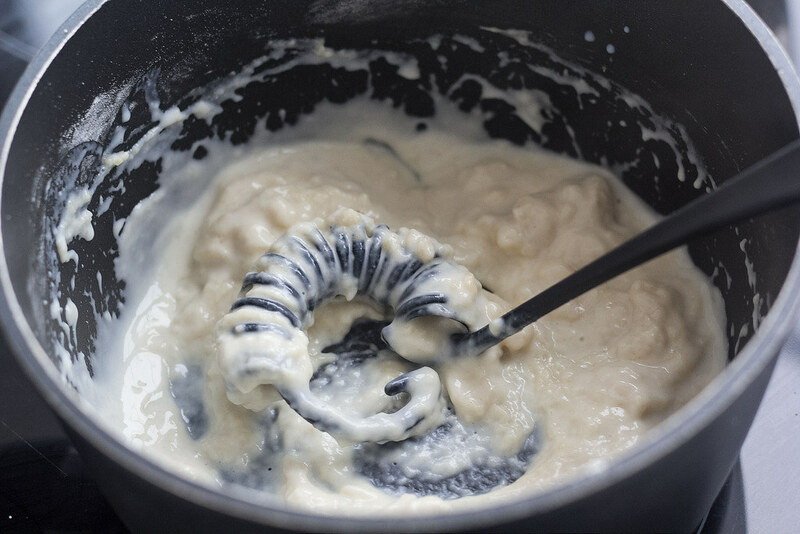 It is very simple to make a good bechamel sauce. 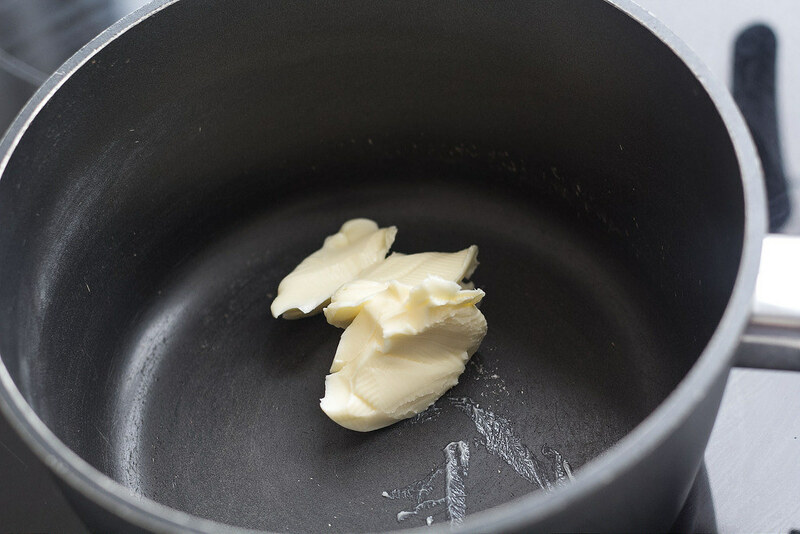 You start by melting the butter in a saucepan. Then you add the all-purpose flour and mix it well with the butter. 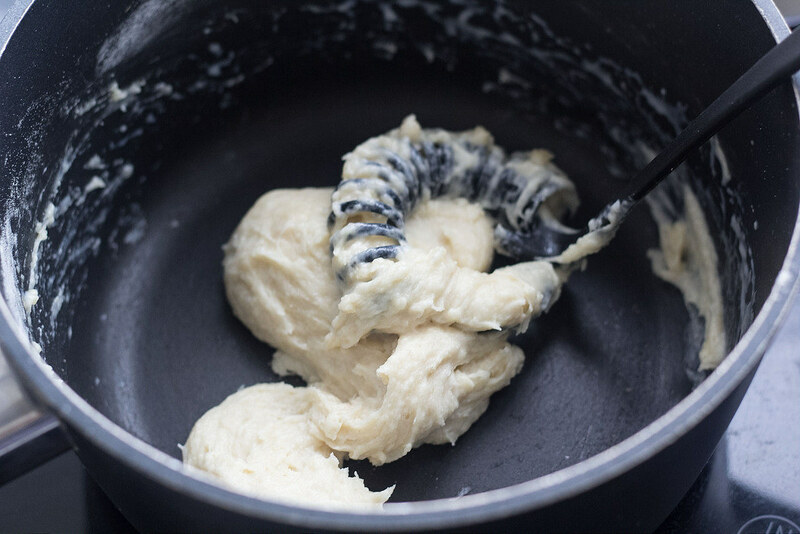 The last step is to add the milk step-by-step while whisking well to break and avoid flour-lumps in the sauce. Let the sauce simmer at low-medium heat for about 5 minutes while stirring to avoid burning. It is that simple to make this sauce. 2. 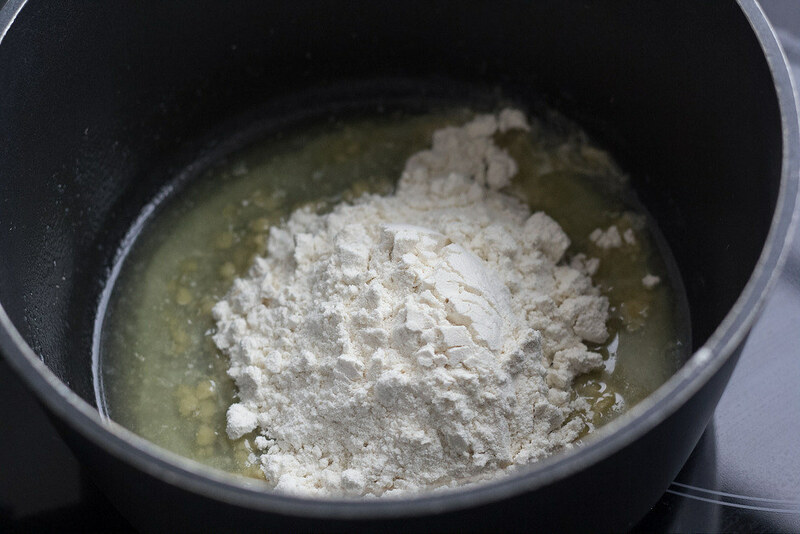 Add the all-purpose flour step-wise while stirring. 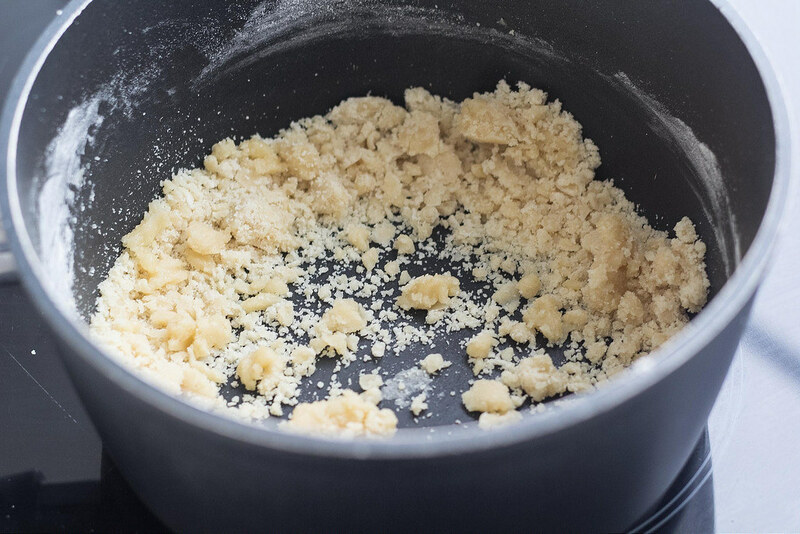 Heat the butter and flour mixture for 1-2 minutes. 3. Add the milk step-wise while whisking well to even out the sauce. 4. When all the milk is added; let the sauce cook for about 2-4 minutes while whisking. 5. Add salt, pepper and nutmeg to taste.